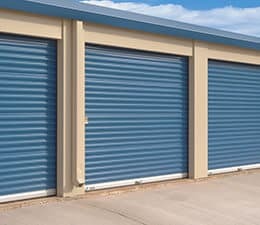 Serving the industry with an array of curtain materials (prefinished galvanized steel in gauges from 24 to 18, stainless, or aluminum), slat profiles, and colors, Clopay’s service doors can accommodate most openings and building requirements. Service Doors (CESD) are manufactured from 2 5/8″ wide metal slats roll formed to interlace together to create a continuous steel curtain. They are used to provide security against entry or weather protection at exterior or interior openings in industrial, commercial, institutional and other buildings. Sizes: 30′ wide, 30′ high standard construction. Large openings to 50′ wide, 40′ high, consult factory. Operation: Motors, chain, hand-crank or push-up designs based on size, weight or frequency of operation. Usage: Standard construction is up to 20 cycles per day with High Cycle Construction available for doors expected to be operated more than 20 cycles per day, i.e. parking garages, sally ports. 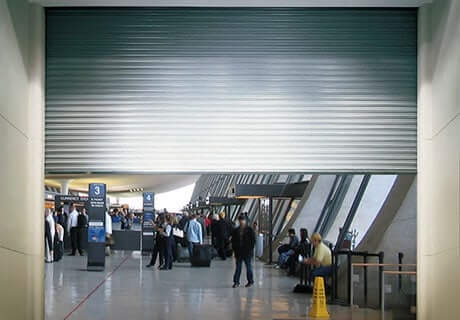 Fast Acting Doors: For high traffic openings or where air flow or temperature control is critical, doors can be designed to operate at more than twice the speed of typical doors, or up to 2 ft./sec. Wind Load: Doors can be configured to withstand the full range of specific wind load requirements including missile impact ratings. Also refer to WindCode Section. Materials & Finishes: Standard door curtains are availalbe in 24, 22, 20 and 18 gauge galvanized steel in light gray, white or tan. Also 20 gauge 300 series stainless steel with # 4 finish or #16 B&S gauge aluminum with mill, clear or color anodized finish. Materials & Finishes: Exterior and interior slats are ASTM A 653 galvanized steel with exclusive finish in light gray, tan or white (available 24/24 ga only). Powder coated finish is optional. Exterior skin is available in 24, 22, 20 and 18 gauge with combination exterior and interior slats being – 24/24, 22/24, 20/24, 18/24 and 22/22. Exterior and interior skins are also available in 22 gauge 300 series stainless steel with #4 finish and #18 B&S gauge aluminum with mill, clear or color anodized finish. Fire Doors (CERD) are available insulated and non-insulated, provide automatic closing in the event of fire detection with governed speed control. Fire doors also designed for use as a service door to provide security and access control in openings that are not part of a required means of egress. Listings: UL Classified 4HR, 3HR, 90MIN, 1HR AND 3/4HR labels and Factory Mutual Approval. Materials & Finishes: Curtains are availalbe in 22, 20 and 18 gauge galvanized steel in light gray or tan. Powder coating is available as an option, or 20 gauge 300 series stainless steel with #4 finish. Stamped steel or cast iron endlocks are provided per UL procedure. Click HERE for additional Material & Finishes Information. Mounting: Face of wall or between jambs in both interior and exterior walls. Approved all types for the mounting of fire doors include masonry or structural steel jambs. Listings: UL Classified 4HR, 3HR, 1 1/2HR, 3/4HR classified labels. Flame spread and smoke development index factors for the insulated fire door’s mineral wool insulation are zero. Sizes: 30′ wide, 22′ high standard construction. Large openings to 34′ wide, consult factory. Materials & Finishes: Exterior/Interior curtain skin – galvanized steel in light gray or tan or optional powder coating is available. 300 series stainless steel with #4 finish. Cast iron endlocks/windlocks are required per UL procedure. Click HERE for additional Material and Finishes information. Operation: Motor, chain or crank operating systems are recommended for ease of testing and controlled automatic closing speed. Smoke rated doors add tested smoke and draft control to fire doors and counter fire doors. Use to protect interior corridors and smoke barrier openings or any opening where life safety is a priority. Listings: UL Classified for fire protection and the loss of property and also UL, “S” leakage rated assembly labeled for smoke and draft control. 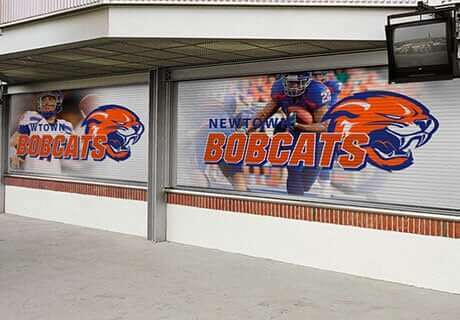 Sizes: 30′ wide, 25′ high standard construction. Large openings to 34′ wide, consult factory. Commercial doors are designed with hardware to meet demanding applications of commercial building usage. 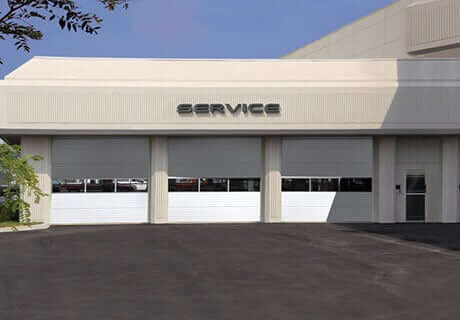 All commercial doors are provided with the following hardware as standard. For additional upgraded hardware see “Options” tab.